Each year, Masque Theatre usually stages six or seven shows which are performed at various venues around Northampton including The Playhouse Theatre on Clare Street and The Church of the Holy Sepulchre on Sheep Street. 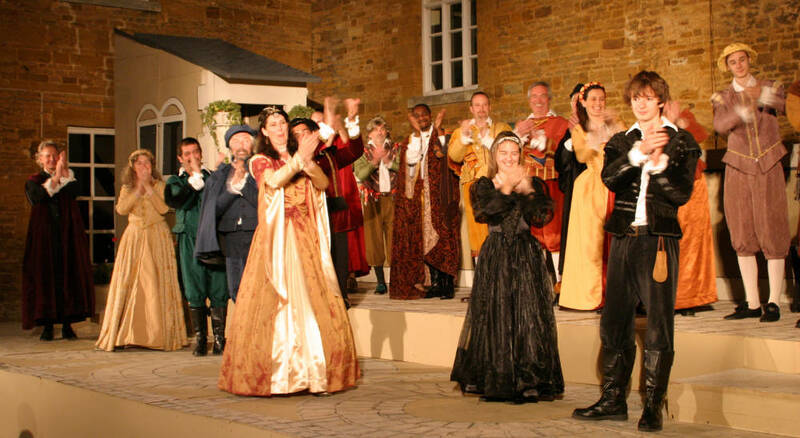 Our annual summer open-air production, in the historic setting of the courtyard of Abington Park Museum, is a much-loved Northampton tradition. We rehearse and meet at our base at the Burns Street Studios in Northampton. Since the turn of the century, Masque Youth Theatre has been giving children acting workshops and experience of performance. We are honoured to have as our president the popular actor Lesley Joseph, who appeared with Masque Theatre in the 1960s. Another well known actor who started out with Masque Theatre in the 1980s is Marc Warren. Alan Carr performed with us before he made his name as a comedian and TV presenter. Since the 1930s, quality drama has put Masque Theatre at the centre of Northampton life. That was highlighted in 2011 when the Mayor of Northampton presented the group with a Heart of the Community Award. We like to think that the quality of our productions is our hallmark, so we were delighted when we were invited to join the Royal Shakespeare Company's Open Stages theatre project. If you would like to learn more about Masque Theatre, or would like to enquire about sponsoring our shows, please contact our chair. Masque Theatre welcomes new members and our patrons enjoy significant savings on normal ticket prices. 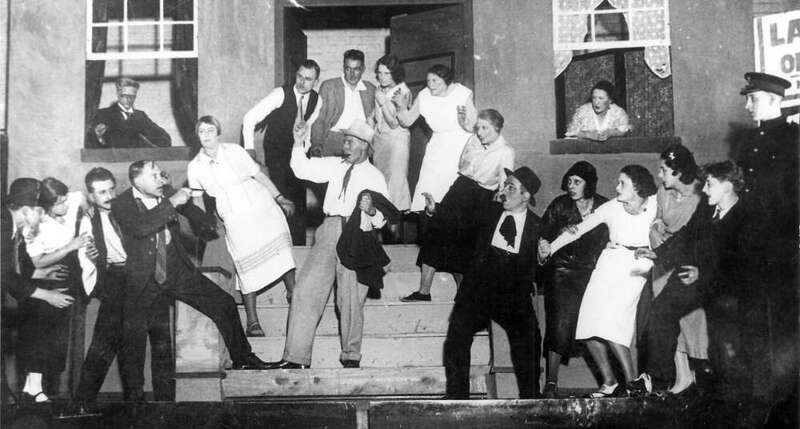 Read the history of Masque Theatre. Members receive our regular newsletter, invitations to social events and a discount on ticket prices (except Youth Theatre productions and occasional events). Alternatively, you could become a patron of Masque Theatre and enjoy free entry to our shows (except Masque Youth Theatre, open-air summer shows and some other occasional events), as well as receiving our regular newsletter and invitations to social events. Participants in Masque Theatre productions (actors, back stage crew and front of house) are required to join Masque Theatre. For more information about joining or supporting Masque Theatre, please contact our membership secretary. We reserve the right to vary prices and terms and conditions. Whilst we aim to keep this page updated, in case of any difference in pricing, you will be informed at time of application.